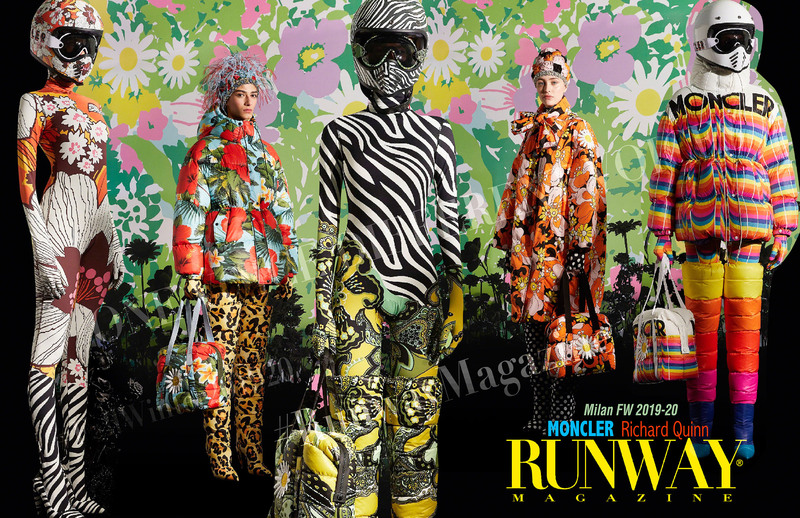 Moncler Genius Fall Winter 2019-2020 Milan Fashion Week. 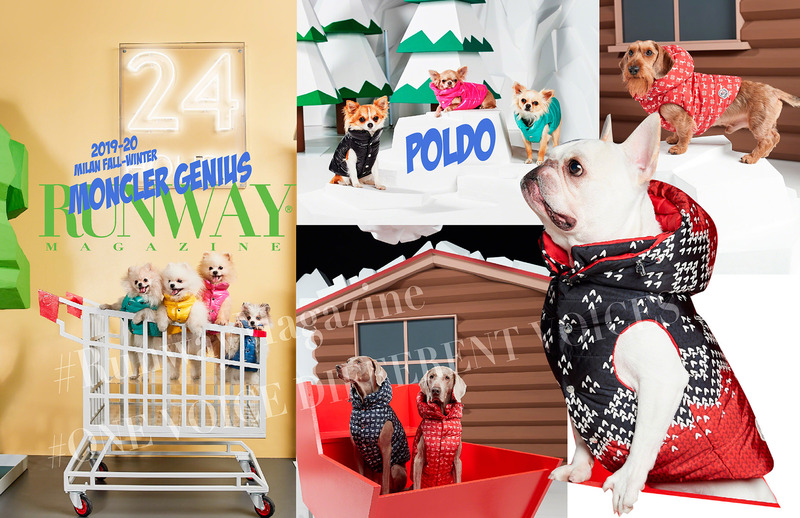 Poldo Dog Couture for Moncler. 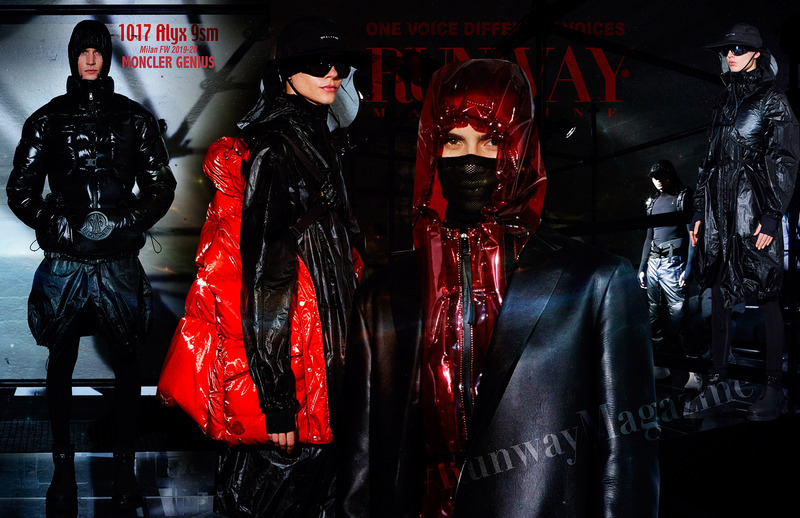 Change happens in the frame of continuity and this season, the group of designers evolves with the addition of Richard Quinn, Matthew Williams of 1017 ALYX 9SM, as well as Veronica Leoni and Sergio Zambon sharing the helm of 2 Moncler 1952. Moncler Genius Fall Winter 2019-2020 Milan Fashion Week. Matthew Williams of 1017 ALYX 9SM for Moncler. 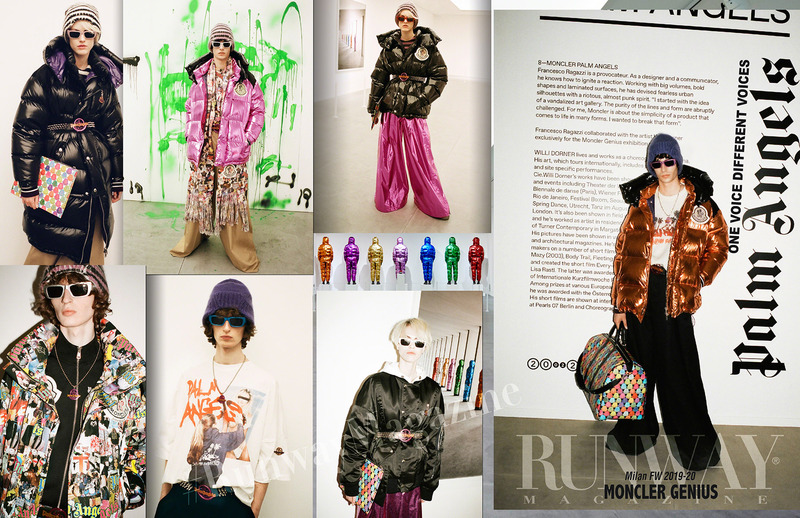 Remo Ruffini conceived Moncler Genius as a new communication and business model that celebrates the diversity of the contemporary customer in the digital era. He affirms “Moncler Genius is an answer to the times, a symposium of creative minds and an inspiring place. Each Genius operates singularly and the sum of the Geniuses interprets the Moncler identity. Different rooms house different visions, all of them shaping the global Moncler message and the Moncler Genius Building contains them all”. Moncler Genius Fall Winter 2019-2020 Milan Fashion Week. Sergio Zambon, Veronica Leoni, for Moncler 1952. The Geniuses’ vision was unveiled in Milan on February 20th with an event presenting the Moncler Genius collections including Pierpaolo Piccioli & Liya Kebede, Sergio Zambon and Veronica Leoni for 2 Moncler 1952, Sandro Mandrino for 3 Moncler Grenoble, Simone Rocha, Craig Green, Matthew Williams of 1017 ALYX 9SM, Richard Quinn, Fragment Hiroshi Fujiwara, Palm Angels Francesco Ragazzi and Poldo Dog Couture. Moncler Genius Fall Winter 2019-2020 Milan Fashion Week. 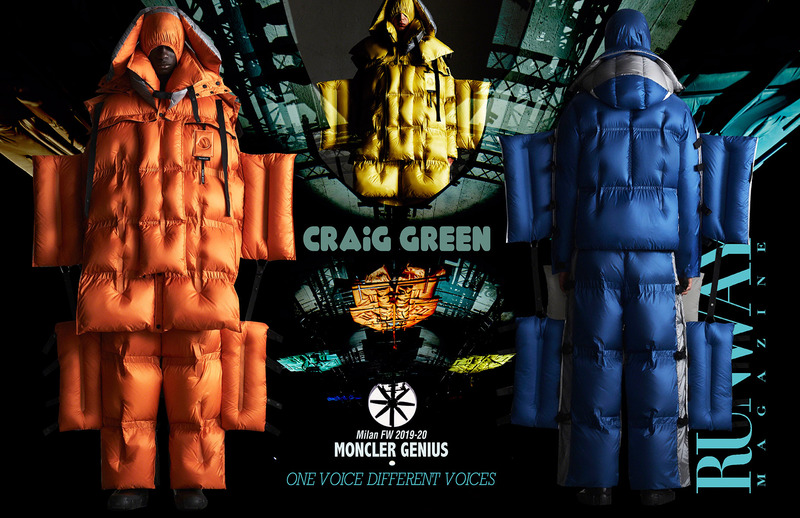 Craig Green for Moncler. Moncler Genius is a creative hub promoting the energy that comes from a mix of different cultures: it’s a vision beyond borders of season, age and taste, talking to all generations of customers throughout a product rooted in Moncler’s unique heritage and values. The new luxury turns aspiration into inspiration as it is related to true values. Moncler Genius clearly pursues this goal, as it has done since first engaging with distinctive audiences. Moncler Genius Fall Winter 2019-2020 Milan Fashion Week. Grenoble for Moncler. Moncler Genius authentically continues to embrace multiplicity, enhancing it for creators and consumers: it’s a unique project, made of unique products and unique experiences, stemming from a curatorial approach. The focus is on both the variety of the product and the individuality of the client. The sum of the two is the awareness of inclusive luxury. Moncler Genius Fall Winter 2019-2020 Milan Fashion Week. Palm Angels for Moncler. The Moncler Genius Building is the place where the Moncler spirit becomes an experience. What makes the project authentic and powerful with a brand new energy is the fact that the product is the core, taking different shapes according to the vision of each creator. Each collection will be released singularly through monthly projects, both physical and digital. Continuity is an asset that lets the project live, breath and expand. Virtual and real, online and offline work in unison. The uniqueness of the creator mirrors the uniqueness of the consumer. Moncler Genius Fall Winter 2019-2020 Milan Fashion Week. Richard Quinn for Moncler. Each Moncler Genius speaks to a cross-section of global customers giving life to a unique community. The Moncler community. 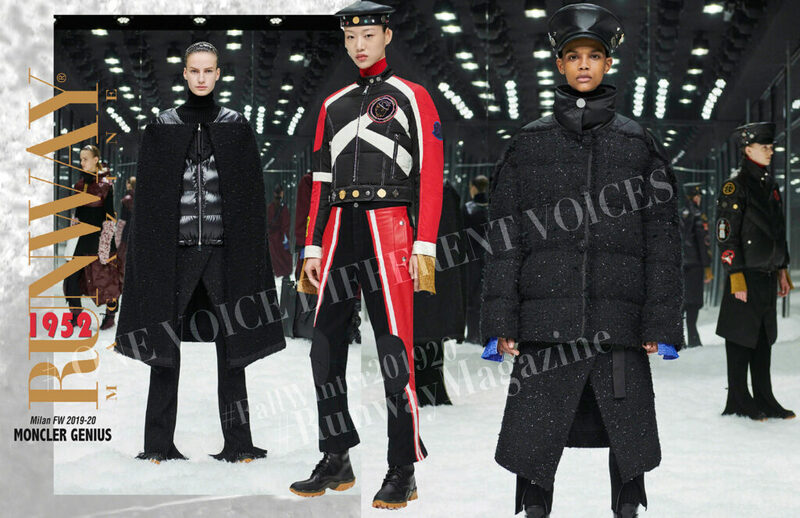 Moncler is rewriting the rulebook and putting the consumer first. Promoting access as the highest expression of inclusivity, Moncler will open the Moncler Genius Building on February 24th to the general public, creating a synergy with the city of Milan by endorsing unexplored metropolitan areas. Moncler Genius Fall Winter 2019-2020 Milan Fashion Week. 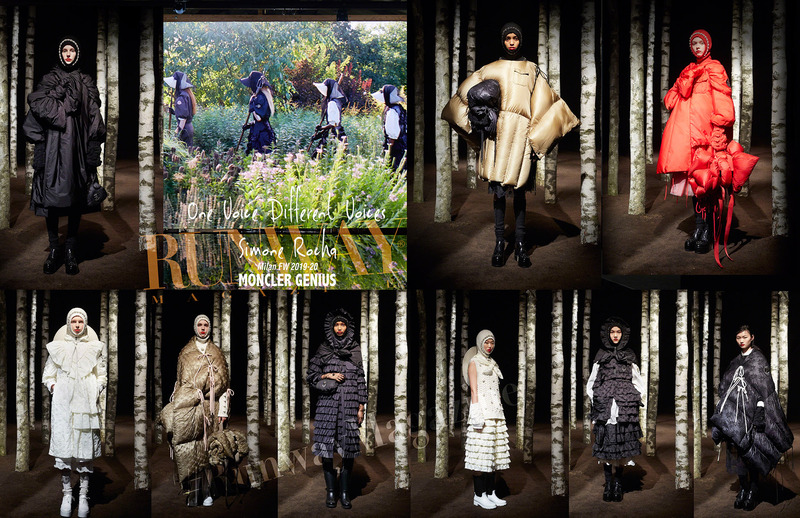 Simone Rocha for Moncler. 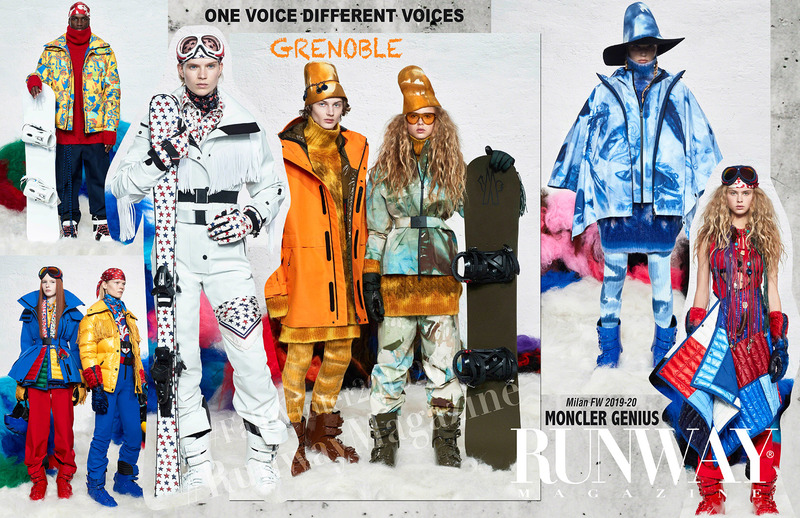 Moncler is one house that continues to speak through different voices with an inclusive, unique and artful language. Each designer offers a personal point of view on the Moncler product and the values it stands for: authenticity, function, performance. Each Moncler Genius collection is identified with a number. Numbers do not create a hierarchy, but facets to the whole.